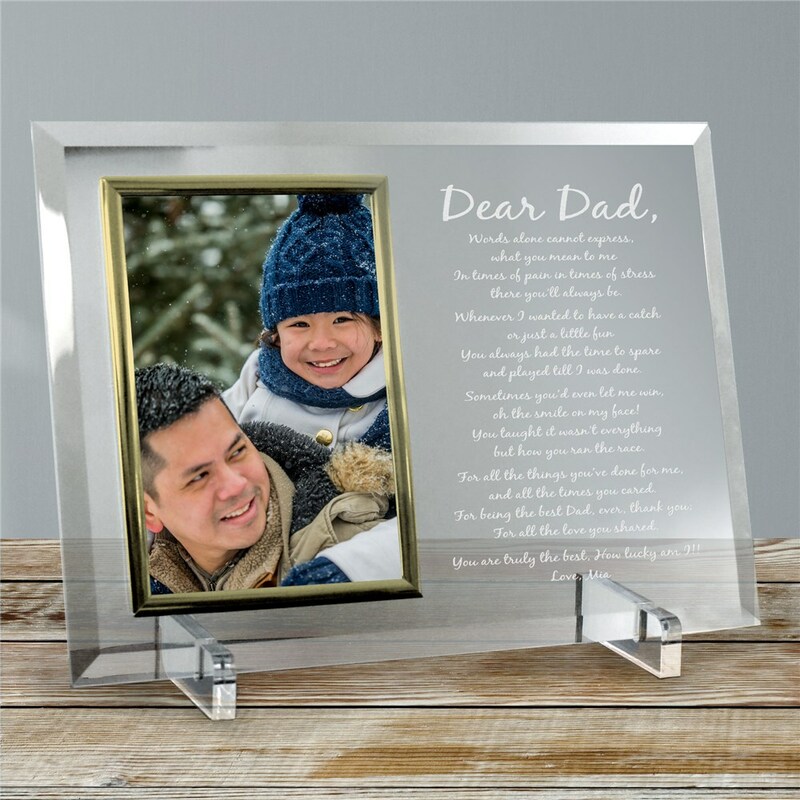 This personalized dad frame is a beautiful way to tell your father how much he means to you. You choose the opening and closing statements surrounding our touching poem. Is this frame for someone else? Instead of Dear Dad, change the opening sentiment to say what you want. Have a poem you wrote yourself? Choose that option and fill in your thoughtful words. This custom poem beveled glass frame measures 8" x 11, holds a 4" x 6" photo and includes clear easel legs for easy display. Write Your Own can be personalized with 40 characters per line and a maximum of 20 lines. Turned out beautiful and my girlfriend love it. This is a very nice product which exceeded my expectations.I will definitely continue to buy products from this site! I had a very specific gift in mind and on a deadline to get it. GIFTS FOR YOU NOW had just the right item and got it to me in RECORD TIME! It turned out beautiful and I know my son will love and cherish this personalized birthday gift for many years to come. Thank you for such excellent customer service!